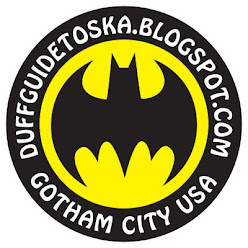 The Duff Guide to Ska: The Shifters' Kickstarter Project: "Letters to Jodie Foster" 10" EP! The Shifters' Kickstarter Project: "Letters to Jodie Foster" 10" EP! Washington, DC's fantastic rocksteady act The Shifters have launched a new Kickstarter project to fund their new 7 or 8 track 10" vinyl EP tentatively titled, Letters to Jodie Foster (which is an intriguing reference, as a certain real someone who sent letters to the "Taxi Driver" actress ended up doing some pretty bad things himself). If you want to support this project, you have until Monday, March 15, 2012 at 5:00 pm EDT (the project goal is $2,500). There are many pledge levels available--though $14 will score you a copy of the EP (which will be delivered in June 2012) and $21 will snag you the EP plus their limited-edition Live at DC9 CD (which seems like a choice deal to me). 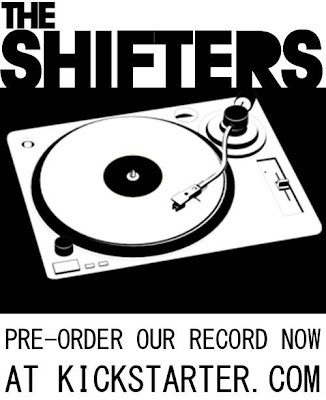 Since I'm a massive fan of the band (and love ska vinyl), I've already made my pledge (at the $40 level, since I want a dope Shifters t-shirt along with the EP and CD)--and I enthusiastically urge you to do so, too. These guys make good music!